For the price, this is a good bag, well-sewn and durable. For the price, this is a good bag, well-sewn and durable. It is roomy and comfortable and a pleasure to crawl into. I have an issue with my bag at temps under zero that I was surprised to find. The seam that is opposite the zipper side that runs from head to toe is very thin. Less than 1/4 inch of insulation can be felt along that seam. At 8 degrees below zero Fahrenheit, I experience a cold streak along this side of my bag. As mentioned above, overall for the price I am happy to keep and use this bag, but I find at sub-zero temps I need to supplement it. I place a blanket along the seam the runs from my shoulder to my right foot (I have a left zip bag). And that solves the problem for me. The zipper side has ample baffles and is very nice and insulating. I would like to see the manufacturer add something on the opposite seam to solve this problem as they have on the zipper side. Also consideration of a shoulder neck baffle option would be nice. The drawstring for the shoulders doesn't give me an even seal. Here I use part of the blanket to do this. All of this being said, I bought another one of these bags for my son. We find in most cases for our use the bag does the job and the price is right and the quality is high. Welcome to Trailspace, DCR. Thanks for the review. Welcome to Trailspace, DCR! Have any pictures of your bag to show others in your review? I have owned the Ultima Thule for about five years now. While this bag is a little heavier than some of the new bags and down bags, it compresses fairly good. 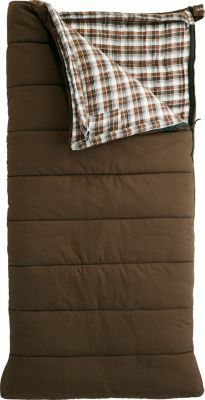 What I absolutely love about this bag is the great sleep I get in it! I can go to sleep damp and clammy with wet feet and wake up dry! After researching my next winter bag, I compared all the top brands including the best down bags available and was won over by Wiggy’s use of Lamalite. This is awesome stuff. When talking to all my camping friends though, hardly any of them have heard of Wiggy’s. Since becoming a Wiggy’s fan, I have tried to change that and recommend it every chance I get. I have used this bag in negative 30 temps and while my water bottle froze, I hardly noticed the cold. The sealing for the hood and neck work nicely, too. This was the first bag I bought pack in 1999. It worked fine in cold weather for a couple years. The problem I had was in cold weather (20C) in Yosemite. I nearly froze. I returned it to the manufacture for replacement since it was about 5 years old and had lost half its loft. They did send me a brand new bag since these had a lifetime warranty at the time, but I still haven't used it again. After that Yosemite trip which I didn't end up sleeping more than an hour, I immediately went home and bought a Marmot Down NeverSummer 0C bag which is soooo much warmer and comfortable than this army surplus type bag. This bag when new performed very well but it soon lost some of its loft and failed me at 24f. Part of this was probably because I am a cold sleeper. I told Wiggy's about this and they replaced this bag with a new one no questions asked. Their quality really is top notch as is their customer service. 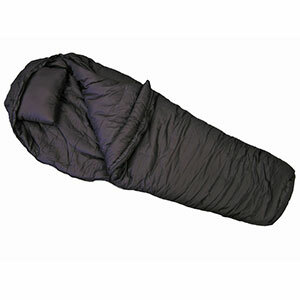 I would recommend them highly to anyone who needs a synthetic sleeping bag. I did replace this bag with a down bag but would never use the down except for lightweight backpacking where weight matters, all other times I will have the Ultima Thule with me. 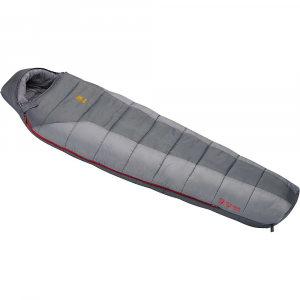 The Wiggy’s sleeping bag is used more by us because of being around water most of the time in the wilderness, where a down bag will get you killed if it gets wet. I did upgrade to the FTRSS for this bag also to gain some warmth for very cold nights. I needed a -20 or colder bag for a series of winter footraces that I am training for and entering, including races in Minnesota, Alaska, and the Yukon. Due to the potential for overflow, some races suggest synthetic fill over down. The Wiggy's Ultima Thule (wide, long) is not a small bag (compressed size is quite large) nor is it light (5.5lbs) compared to other models. BUT it is true to its rating. I'm not a warm sleeper and have spent multiple nights comfortably below zero in this bag. Last weekend I was running solo in the mountains and bivied in this bag at -20 degrees (f). I was wearing only a thin layer of clothing and was acceptably warm (not toasty). I would have frozen in many other "-20" bags. Having to carry this over long distances, I do wish it was lighter and especially smaller. I have not given the bag the ultimate test in cold weather as I have been using it continuously for three months of warm weather. I am concerned that the lower portion (including the hood) seems to have less loft than the upper portion so that if you like to sleep on your side you are negating some of the insulation. Maybe a minor point butI did not like the quality of the compression sack that I ordered. The cord lock did not work well and the stitching ripped where the compression straps are sewn to the bottom of the bag. I'll hold off on my final opinion until I get to sleep in it in really cold weather. 20 degrees was the coldest that I have used it in so far. I've owned a pair of (mate-able) Ultima Thule Wiggy bags for about 5 years now, and am really very pleased with them. The Wide-Body feature is nice if you want some additional room, or just don't care for a mummy style bag. Believe me, the Wide-Body models are not like sleeping in a mummy style bag at all. They seem to me more like a slightly tapered rectangular bag, where only the foot area is anything like "confining". I was first exposed to them when a friend mentioned the National Guard used them, and commented on just how small they were when "vacuum-shrink-wrapped" for storage by them! Yet he maintained they returned to original loft after simply fluffing the bag once and lying it out flat on the ground for about 30 minutes. My first outting with them was in 20 degree (F) weather during a Feburary camping trip. Due to heavy condensation (whilst sleeping inside a pickup's closed campertop), I awoke to frozen droplets on the inside of it's roof. Of which, some had dropped onto the outside of my Ultima Thule bag and yet remained frozen solid. I'm a cold sleeper, and that night I probably slept the warmest I ever had in such temperatures. 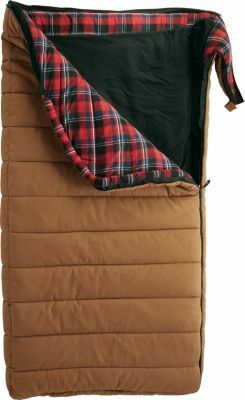 I've been sold on the Ultima Thule's for cold weather camping/hiking ever since. They might be a bit heavier that other bags of the same temp rating, but they're certainly been worth it for the durablity they've continued to exhibit year after year, season after season. Upon perusing several other reviews about Wiggy's here, I felt it at least proper to jump in and tell my story. I don't doubt the accurateness of the other reviews I read, but I do kind of wonder what (really) led to such bitter actions on each of their parts. Having had half a dozen conversations with Jerry Wigutow himself, I've found him to be knowledgable, helpful, and yes at times even short. However my contacts with him have always remained civil as well as educational, and at times even quite informative. P.S. Do some homework and see who all employs Wiggy's Bags (i.e. Outfitters, Outward Bound groups, all branches of the Military, etc) on a constant basis, and you'll realize they do so for some very worthwhile reasons. I've had my bag since 1986 and have used it extensively for ski mountaineering. Wet or dry, I've been happy with this bag. It has not lost any loft in comparison with new bags of the same model. I have slept well at -25F -definitely recommended if you value durability. The Wiggy's Ultima Thule is not available from the stores we monitor.